A few days ago marked the second year I haven’t been able to speak with Mom on her birthday. It wasn’t quite as painful as it was last year. But it still hurts not to be able to hear her voice. To share exciting news with her. To talk about our writing. To get her advice on a decision I’m facing. Most of us know the grief of losing someone we love. At first, it’s like a bad dream we hope we’ll wake up from. The pain does become easier to bear over time. But it rushes back with the notes of a song, a smell, or a memory. Think of that pain. Even if we multiply it a hundredfold, we can’t come close to the depths of the suffering of those who endured a #genocide. For them, it’s a nightmare that never ends. Every day they live is a reminder of all they have lost. Their families. Their community. Their freedom. Their very way of life. 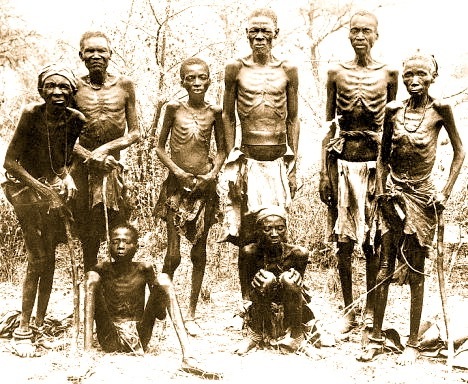 Today, there are those who want the Herero and Nama, who lost their grandparents and great-grandparents in the first genocide of the 20th century, to forget their history and just move on with life. But to forget is to deny the past, to pretend that the genocide never happened, to erase the memories handed down by those who struggled to survive so they could be a witness for the tens of thousands who died. We can’t let that story be swept away as just a footnote in the history of colonialism. It’s a story that must continue to be told.